The island Guernsey, one of the English Channel Islands, is known for its clematis production. That’s due in large part to the enthusiasm of breeder Raymond Evison. 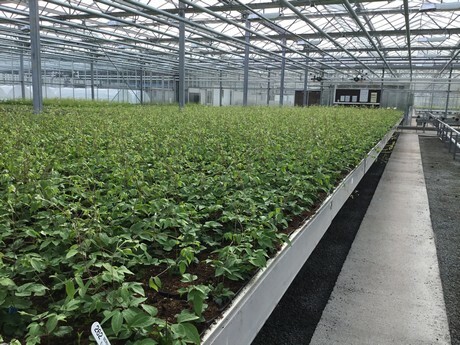 Over 2 million young plants a year are being produced at his 4.5 acre company Guernsey Clematis Nursery, which provides 20% of the world's annual requirements of young clematis plants. The biggest market is the USA, Canada, Japan, South Korea, China, the United Kingdom, Ireland and Europe. 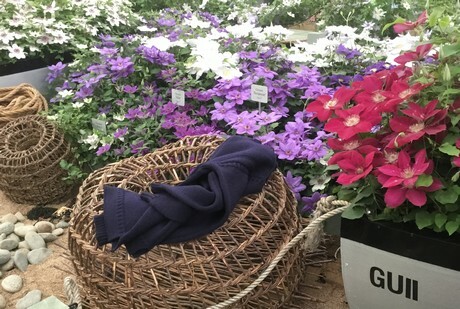 After years of breeding in cooperation with Poulsen Roses, Raymond is introducing a new breeding program under his own company name Raymond J. Evison Ltd.
Raymond Evison and Lindsay Reid of The Cuernsey Clematis Nursery at the IPM Essen 2019. 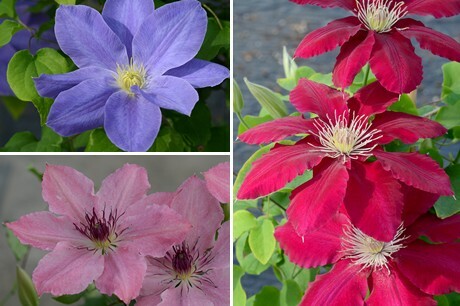 Over 75 percent of the plants Raymond Evison Clematis sells are hybrids that are the result of the Evison-Poulsen breeding program, which ran from 1995 to 2008. The breeding program focused on the needs of the end consumer, bringing compact plants that would flower on the shelves and for a longer period in the garden and that could be pruned and maintained easier. 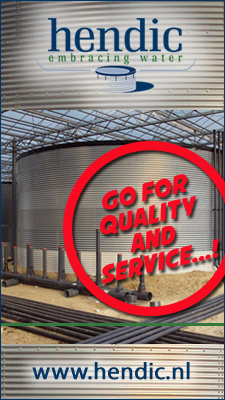 "From those years, we put 100 patented cultivars on the market." Bijou. "This variety is doing very well in China and even won an award." Display at Chelsea Flower Show 2018. 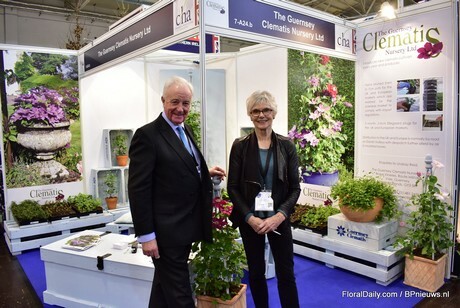 As Evison is so eager to let the end consumer learn and show the clematis, he is showcasing his plants at the Chelsea Flower Show for many years now. And to date, he has been awarded 29 Chelsea Flower Show Gold medals (including 15 consecutive Chelsea Gold Medals) as well as many other annual RHS awards for outstanding exhibits of clematis plants. This year, he hopes to see the 30th Chelsea Flower Show Gold medal being awarded. 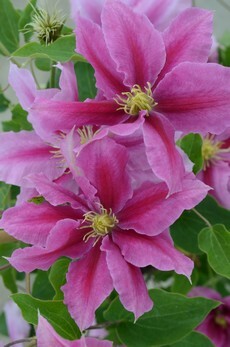 This year the exhibit will feature 2,000 plants of at least 29 clematis varieties. Special this year is the launch of a new clematis variety; Vicki, named after Evison's great friend from Guernsey, Mrs Vicki Smith. Vicki's career as florist and flower arranger took off in 1960 when she qualified at Constance Spry in 1960 and worked on their Chelsea Flower Show exhibit that year. As part of a team, she also arranged the wedding flowers of HRH princess Margaret and the celebrated "Ballroom of Flowers" for the American Ambassador. Afterwards, she became the NAFAS youngest Demonstrator and Judge. Over the next 50+ years, she has decorated everything from Village Halls to Royal Palaces. Now, she is retired and still in love with flowers and arrangement; she creates displays for her own home on the island of Guernsey.